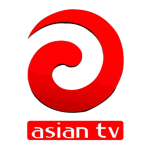 Asian TV Bangla Live is a popular news channel watched by thousands of people in India and Bangladesh. As its name suggests, it telecasts all content in the Bengali language. Bengali is spoken and understood by Bengali people all over the world but is most popular in the state of West Bengal in India and the adjoining country of Bangladesh. The channel broadcasts and televises all the current affairs and events happening all over the world, with a special focus on the happenings in India and Bangladesh. It is the news source of choice for thousands of Bengali speakers who wish to be updated with the news in their native tongue. Asian TV Bangla is known for their unbiased presentation and well-researched news pieces. They make it a point to show both sides of the coin and broadcast opposing viewpoints. Till date, they have provided coverage for all important events that have affected the people of Bangladesh and India with acute promptness. Other than live news, they also broadcast other content like interviews and televised debates.